Zucchini, commonly referred to as summer squash, are best harvested from May to August, although they are now available year-round. 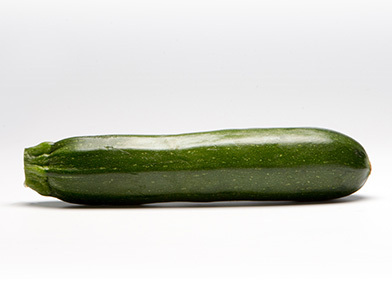 The zucchini is a long, cylindrical vegetable, slightly smaller at the stem end, usually dark green in color. The flesh is a pale greenish-white and has a delicate, almost sweet flavor. Summer squash has a thin, soft skin and soft edible seeds, whereas their counterpart, winter squash, has a hard skin.